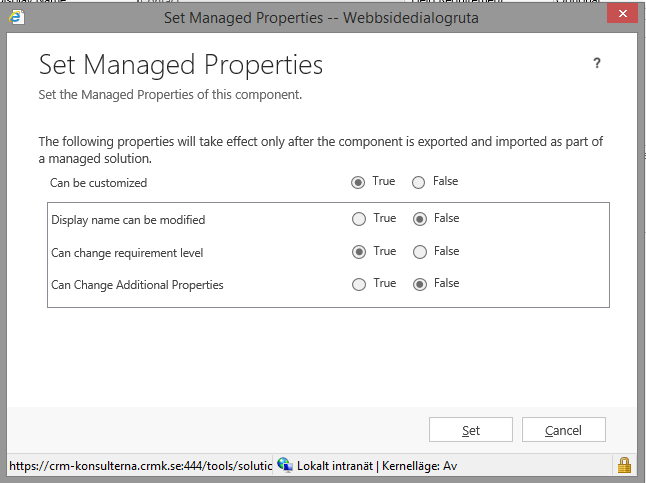 Rickard Norström and CRM from Microsoft : Display name locked down. Ok, this is something that I get very annoyed about. 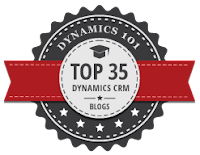 Microsoft has actually locked down the display names of some fields in Dynamics CRM 2013 so you can't edit them, from the GUI. A friend of mine asked why on earth you aren't allowed to change the display name of the parentaccount field on the opportunity entity. I laughed at him saying that he wasn't allowed to do that since he could then ruin the system. Right, this means someone actually has done some sort of thinking here and set the "Display name can be modified" to NO, ON A STANDARD FIELD. If this would have been an ISV product I would have understood that you don't want someone fiddling with your product. But why on earth would Microsoft want to stop you from changing the DISPLAY NAME of a standard entity in a product as CRM where the customizationability (is that even a word?) is a big priority. There is a work around, and that is to edit the translation file, so, yes you can change the display name anyway. I wonder if that makes it possible to edit display names of all fields, even ISV product fields. That is another issue but I'm not quite as annoyed about a leak in this thoroughly broken mess. There must be people reading this blog!